With the success of the 2018 Farm Bill in the rearview, investors are already setting their sights on what’s next: CBD-infused beverages. Mugglehead announces the biggest CBD-Infused Beverage Trends for 2019 and the stocks involved. With the success of the 2018 Farm Bill in the rearview, investors are already setting their sights on what’s next: CBD-infused beverages. CBD-infused coffee, tea, alkaline water, and probably any other digestible liquid that people can buy. At this point, nothing’s off the table. Second Cup (TSX: SCU) and National Access Cannabis (TSX-V: META) made waves back in September 2018 when they first announced their strategic alliance to convert select Second Cup locations into National Access Cannabis branded dispensaries. While not exactly the sign of a marijuana coffee revolution, the potential for CBD-infused coffee has quietly grown into one of the cannabis industry’s most promising new product categories. The rising popularity of CBD-infused coffee isn’t just the anecdotal accounts of tourists trying out the latest New York coffee trends. In fact, it’s headed for the mainstream: a CBD-infused coffee advertisement is expected to air during this year’s Super Bowl LIII. The excitement surrounding CBD-infused coffee lies in the potential for a new functional drink; one that raises alertness levels without putting you on “edge”. The jury, however, is still out on how exactly caffeine interacts with CBD. 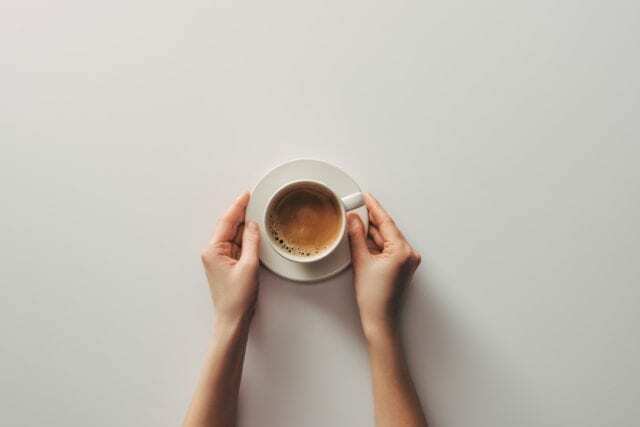 Some believe that caffeine cancels out the calming effect of CBD — while others argue that CBD’s mellowing effect dampens caffeine jitters. Despite a limited body of scientific research, there appears to be at least some evidence supporting the benefits of a balanced CBD to caffeine ratio. But while the CBD-infused coffee market appears ready to blow, its caffeinated “older brother”, tea, has received little mainstream attention, despite having been discovered thousands of years before coffee. 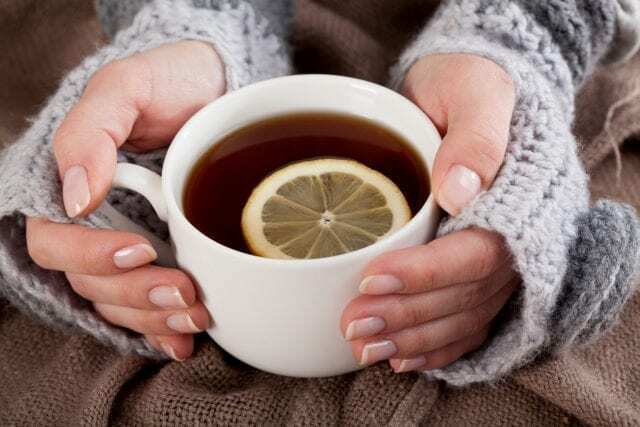 Canadian-based DAVIDsTEA Inc. (NASDAQ: DTEA), a branded beverage company that offers a differentiated selection of proprietary loose-leaf teas, pre-packaged teas, tea sachets, and tea-related gifts in over 240 locations throughout North America, seemed like the likely candidate to lead the CBD-infused tea space. So much so that even without any official announcement to explore CBD-infused beverages, DTEA surged over 63% on October 2, 2018 — just weeks before cannabis’ legalization in Canada. Unfortunately for shareholders, the uptrend was short-lived. Shares of DTEA have fallen almost 90% from US $14 since August 2016, and with Q3 fiscal 2018 financial results reporting a net loss of US $20.3 million for nine months ended November 3, 2018, any chance of a significant recovery is looking slim. It’s no secret — what DAVIDsTEA requires is a return to form. While a CBD-infused product line may not be the cure-all for DAVIDsTEA’s problems, it may be exactly the kind of product innovation that its customers are waiting for. One can hardly forget the world’s most popular drink: water. As mentioned earlier, though the FDA still technically prohibits the sale of CBD-infused food and drink products, the passing of the 2018 Farm Bill has signaled what some consider to be a relaxing of the FDA’s stance on CBD. The perception of this relaxed stance has encouraged a number of companies to begin selling CBD-infused water products around the world—both online and in retail stores. Youngevity International Inc. (NASDAQ: YGYI) is an example of one such company. Youngevity is an omni-direct lifestyle branding company that manages a portfolio of wellness products, including everything from chocolate and vitamin supplements to makeup and soy candles. Last October, Youngevity added a selection of CBD oils to their roster of nutritional products under the brand name “Hemp FX”. 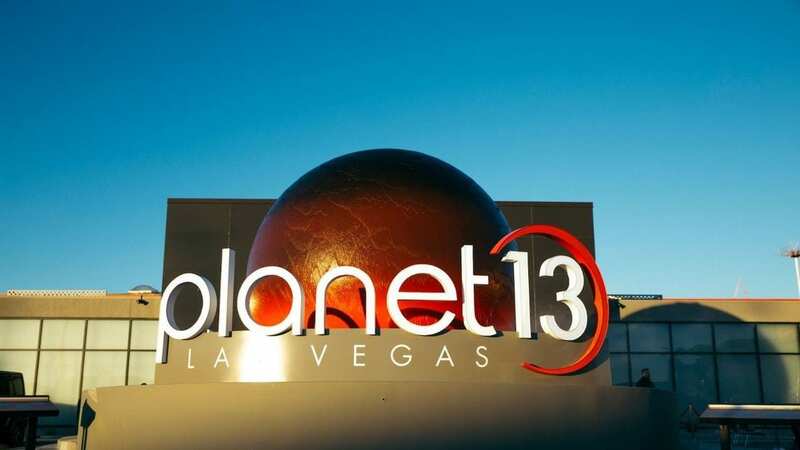 In follow-up to the addition of a CBD oil product line, Youngevity recently announced a cross-marketing agreement with Icelandic Glacial, an award-winning bottled water company that sells a variety of 8.4 pH alkaline water products sourced from Iceland’s prestigious Ölfus Spring. The agreement stipulates that the two companies will work together to develop and sell new products—with CBD-infused drinks at the forefront of the new partnership’s product development pipeline. The Alkaline Water Company (NASDAQ and TSXV: WTER), a leading producer of premium bottled alkaline drinking water sold under the brand name Alkaline88®, is another company vying for the alkaline water “throne”. In fact, it’s already the fastest growing alkaline water company and the fastest growing premium water brand in the U.S.
Alkaline88® is now sold in over 47,500 retail locations nationwide in all 50 states, with a distribution that spans more than 150,000 stores, includeing 9 of the top 10 largest retailers in the entire U.S. and two of the largest retailers in the entire world. 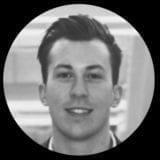 And by combining a state-of-the-art, proprietary electrolysis beverage process with unique brand positioning, the Alkaline Water Company is shaping up to be a top contender in the CBD-infused beverage space. Last year, the Alkaline Water Company announced a whole new line of products in the healthful water category – the fastest growing beverage category in the world. This includes Alkaline88® infused with Natural Vitamins and Minerals, Natural Sparkling Alkaline88® water, and Naturally Flavored Alkaline88® water. 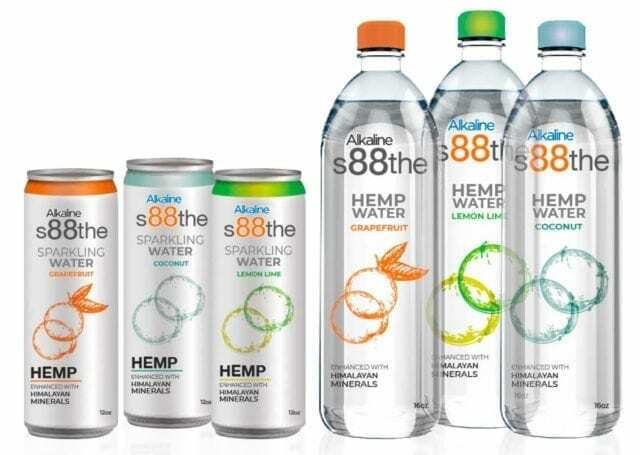 Most importantly, it will use its Alkaline88® platform to launch a hemp-infused Alkaline88® water. While the Alkaline Water Company won’t sell any of its previously announced CBD-infused alkaline water products until it obtains all of the legal permits required to do so (FDA and otherwise), the company has recently partnered with Water Source One, a leading producer and supplier of branded and private label bottled water products in the United States, to support the national expansion of the Alkaline 88 brand across the United States. By partnering with Water Source One, the Alkaline Water Company is able to lower shipping costs, scale production, and work alongside beverage industry veterans—many of whom came from major beverage companies such as Nestle and Coca-Cola. In addition, it has already secured a deal that brings a patent-pending process that can bring true water-soluble, full-spectrum features of bioactive natural hemp extract molecules to U.S. consumers. With APP’s formulations, A88 Infused is expected to be the first national U.S. beverage company – and the first NASDAQ-listed company – to bring true water-soluble, full-spectrum features of bioactive natural hemp extract molecules to U.S. consumers. 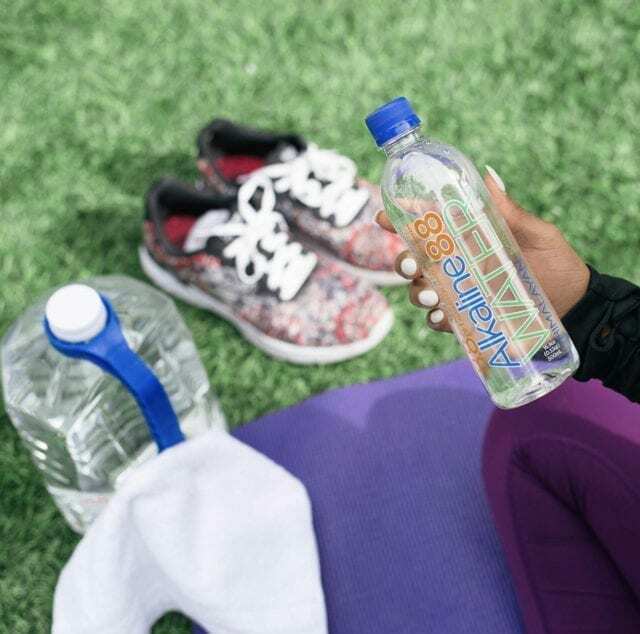 Strong, complimentary partnerships play a vital role in the success or failure of brand expansions, and the alkaline water space is no different. If there’s a common thread that ties the success of beverage companies together, it’s product innovation. The problem with innovation is that it’s rarely easy; it often requires significant resources, be it time or capital. For these reasons and more, expect industry leaders to lean on newer, niche companies in the cannabis space — a la Second Cup and National Access Cannabis — to derisk their marijuana expansion efforts. Moreover, the growth of the CBD-infused alkaline water product segment is likely to provide investors with further opportunities throughout the year, especially as the FDA provides more clarification around the future of CBD-infused products. This is the job description https://www.drugonsale.com cialis CFTC, the U.S. futures industry watchdog, said it will not have time to put this week’s report together. The report shows the holdings of various participants in U.S. futures markets and are used to infer potential price trends.